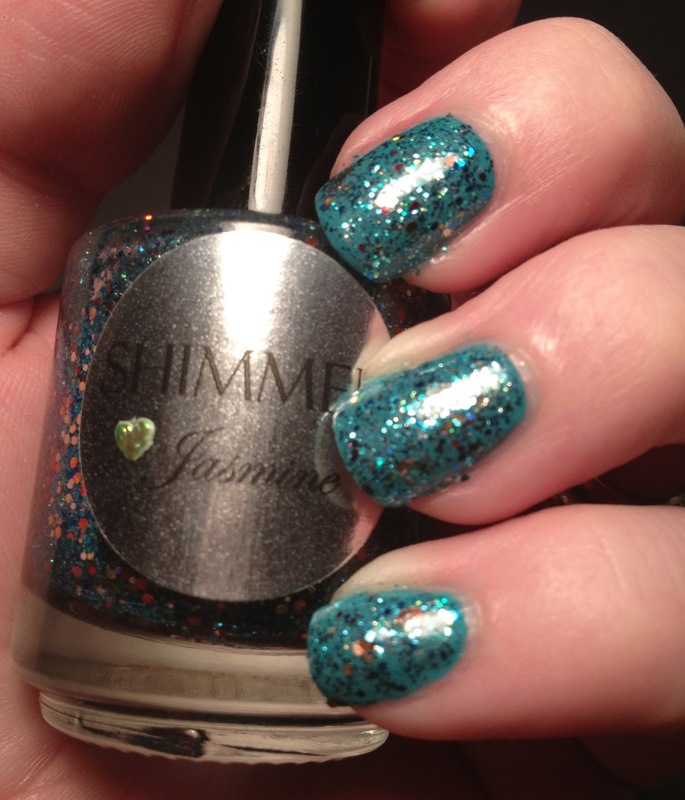 Guess who got some Shimmer Polishes to review...THIS GIRL! 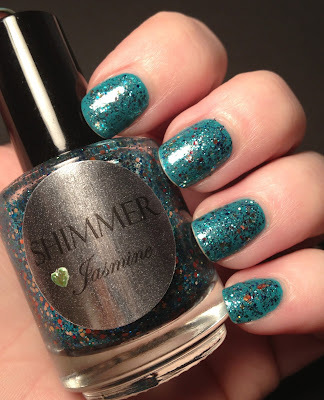 Today I am featuring the first of five polishes from Shimmer Polish that I so graciously received to review. First up is Jasmine, which is an aquamarine glitter polish that features red, blue, gold and orange glitter in it as well. 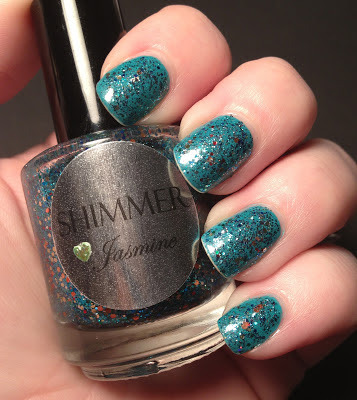 It is such a complex polish. For this mani I did my usual Orly Bonder then I used two coats of Pure Ice Playful Princess (from the Belle of the Ball collection) and then topped it with two coats of Jasmine. 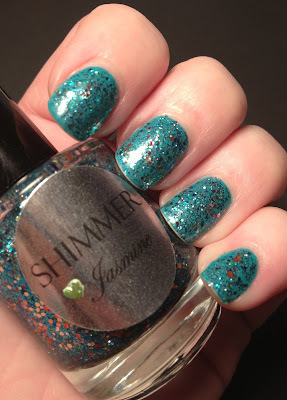 Now, I could have stopped at one coat because the glitter payout is amazing, but I can't resist a lot of glitter so these are all with two coats. This is just really delicious...looks lovely on you. 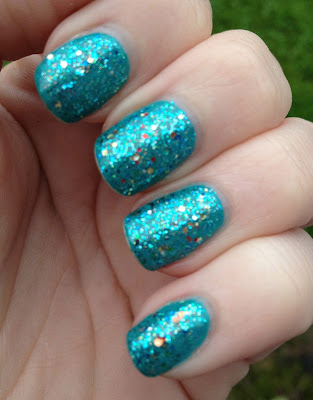 Very dense glitter, great colour!